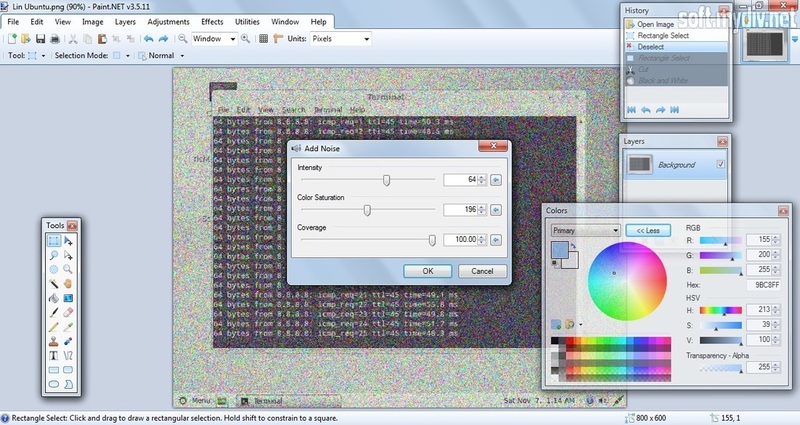 Paint.NET is a free editing tool which is aimed to a processing of raster graphics. 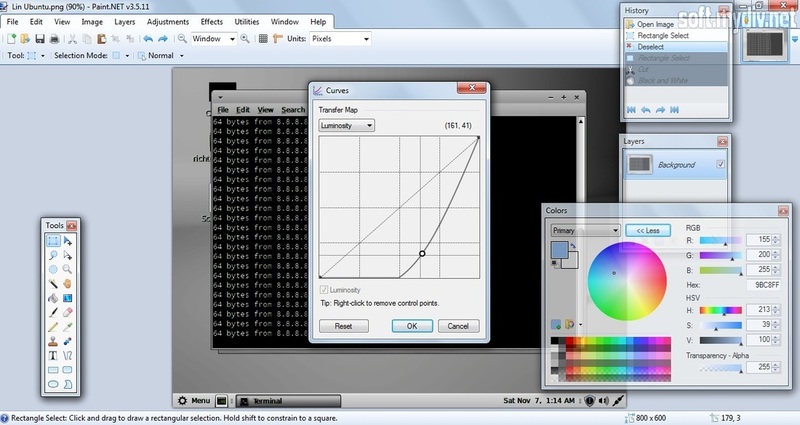 It allows users to work with layers, text, and visual effects. 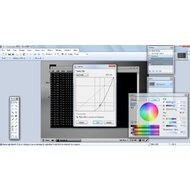 There are also functions as adjusting color balance, retouching, cropping, resizing, and others. Originally the program hasn’t these options. But now it has grown into a powerful graphics editor that can be compared to modern digital tools as Corel PaintShop Pro or Adobe Photoshop. The software has an intuitive interface. 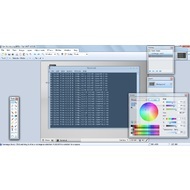 There are five panes which you can see during the first launching: Tools, Canvas, Colors, History, and Layers. 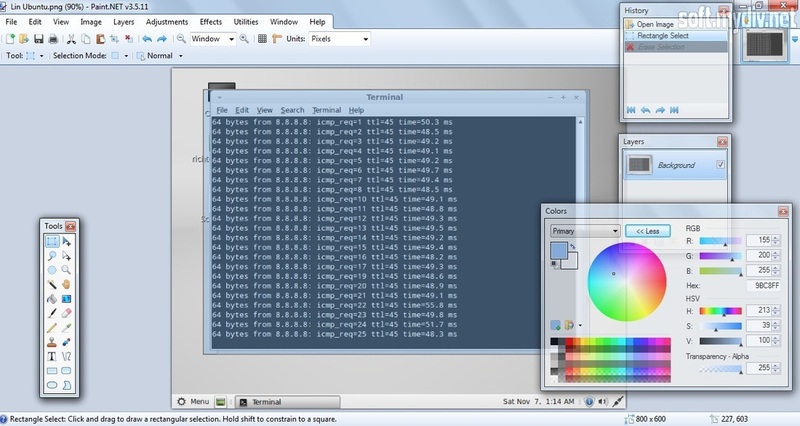 Canvas is your working area. 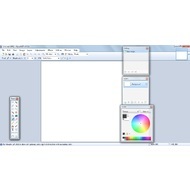 You can resize, flip and rotate your image. History pane allows you to undo your previous actions. You can also use Ctrl + Z to cancel the operation or Ctrl + X to return changes. There are no limits of undo and redo actions. If you want to apply visual effects to your photo, then you should open Effects tab which is on the top menu. There are more than 30 effects. 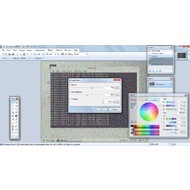 You can apply blur, noise, oil painting, crystallization, glowing, distortion, and others. 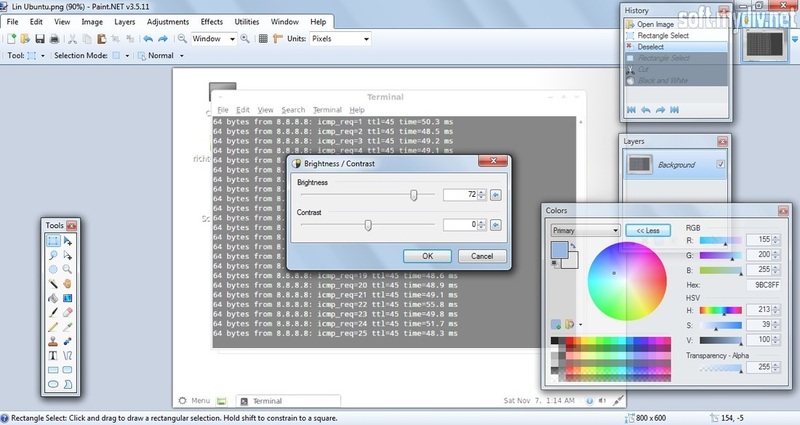 To work with color (brightness/contrast, inverting), use Adjustments tab. If you need to change the language, open Utilities tab. There you’ll find the Language option. This program is a very good alternative to the standard MS Paint. It combines advanced features with simplicity of usage. Besides, it’s easier in learning than GIMP or Adobe Photoshop Lightroom. 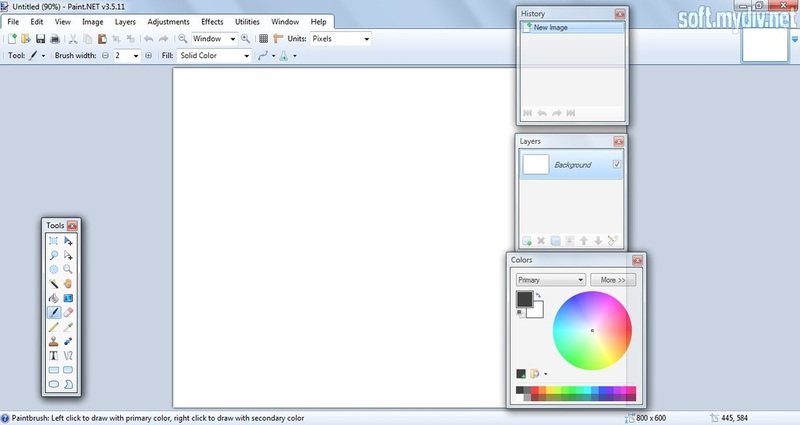 Paint.NET has a large online community. So, there are no problems to find tutorials, video lessons and help information. 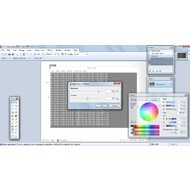 If you are looking for a free and reliable raster editor, you can try this one. Added Rounded Rectangle’s corner size. Overscroll can now be disabled from within Settings. Fixed an issue with the Zoom tool. Fixed crashes occurred when the editor has been launched on PCs with 1 CPU core, or virtual machines configured for only 1 CPU. 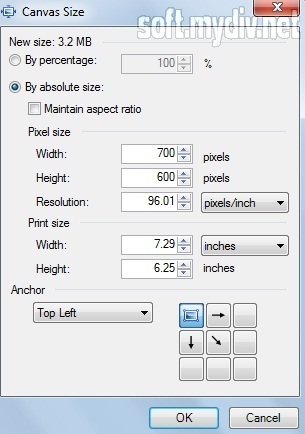 Rounded Rectangle rendering displays correctly for values of "Corner size". Auto scroll will no longer engage overscroll. Fixed some more high-DPI issues. Fixed a bug with Plugin Errors.